probable that it was the Eastern and General Syndicate again. question, which had stiffened the Sheikh's attitude. 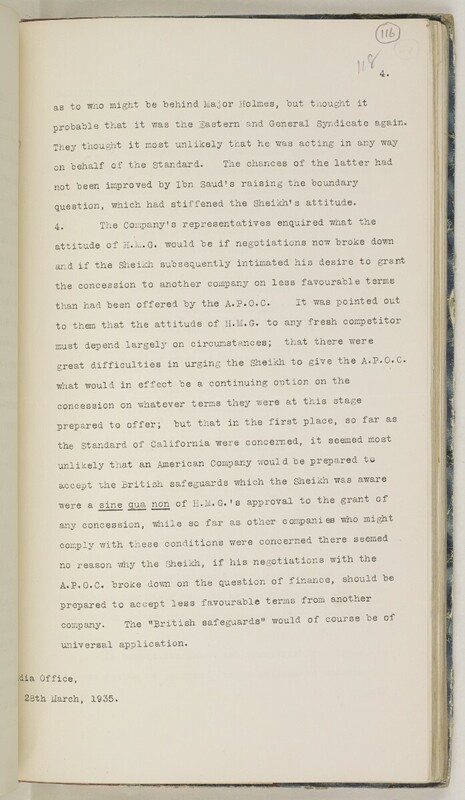 great difficulties in urging the Sheikh to give the A.P.O.C.